Parents of toddlers with an older sibling with autism spectrum disorder (ASD; high risk, HR) and parents of low risk (LR) toddlers with typically-developing older siblings read a wordless picture book to their child at 22 and 28 months. Parents’ and toddlers’ internal state language (ISL) was coded; parents reported on toddlers’ use of ISL. Diagnostic assessments conducted at 36 months identified three groups: ASD, HR-noASD, LR. 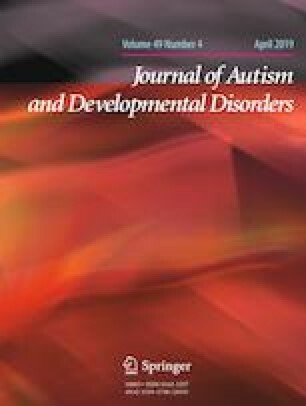 Parents did not differ in overall ISL, but parents of toddlers with later ASD attempted to elicit ISL from their children less than parents of LR toddlers. Toddlers increased their use of ISL with age, but those with ASD had lower scores and less age-related improvement than children in the other two groups. This study was supported by the National Institute of Mental Health R01 MH091036 to Dr. Campbell. We thank Dr. Nancy Minshew, Dr. Mark Strauss, Dr. Carla Mazefsky, Dr. Holly Gastgeb, Ms. Stacey Becker, and the staff at Autism Center of Excellence, University of Pittsburgh for overseeing initial recruitment and assessment of participating families. The Autism Center of Excellence was supported by award number HD055748 (PI Minshew) from the Eunice Kennedy Shriver National Institute of Child Health and Human Development. Recruitment was also facilitated by the Clinical and Translational Science Institute, supported by the National Institutes of Health through Grant Numbers UL1 RR024153 and UL1TR000005. Thanks are due to Taylor Day, Kristen Decker, Stephanie Fox, Phebe Lockyer, and Emily Schmidt for overseeing data collection, and to Rachel Fleming, Kendra Guinness, and Mariel McMarlin for assistance with data collection and coding. Special thanks go to the parents and children who participated in this study. SBC was responsible for the overall conduct of the study. SBC, ASM, and CAB prepared the manuscript. ASM oversaw the coding and management of the book reading data with the assistance of ABT. ELM oversaw the data analyses with the assistance of ASM. CAB developed the book reading task and coding system and contributed to the conceptualization of the study. All co-authors read, edited, and approved the manuscript. This study was approved by the University Internal Review Board. Informed consent was obtained from all parents who participated in this study at each visit.